Discussion in 'Off-Topic' started by Arceus, Oct 13, 2018. 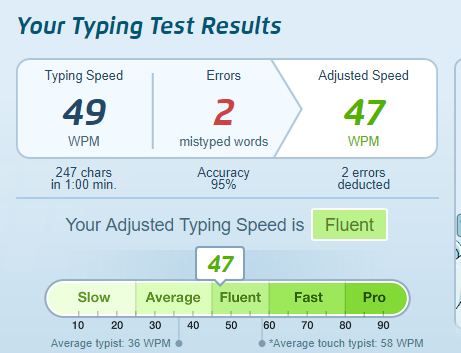 I've seen bunch of fast typers. 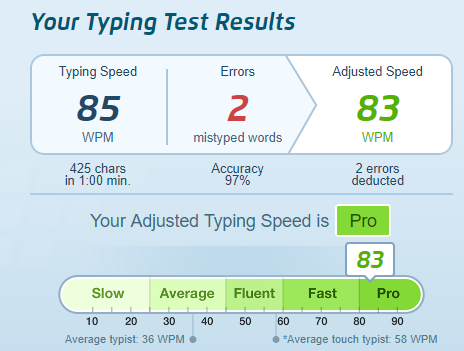 I want to see their real WPM. What is the site for this? 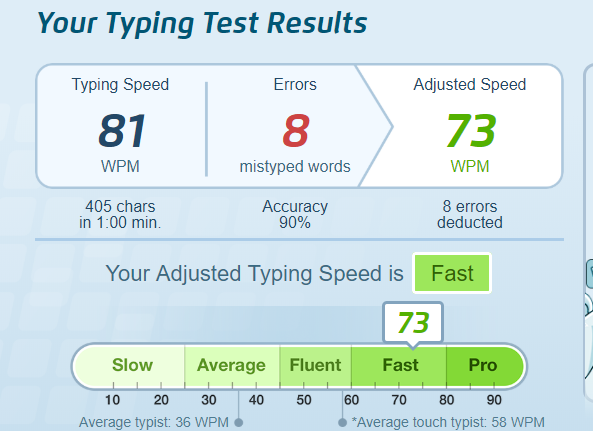 I forgot to screenshot mine and now I’m getting used my keyboard/laptop keys but I have about 55-75 wpm. 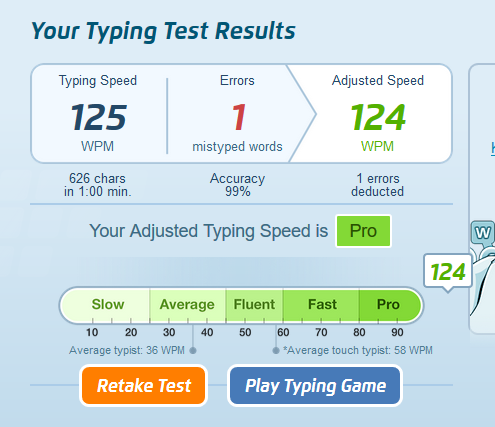 I'd do better if I wasn't sleep deprived. 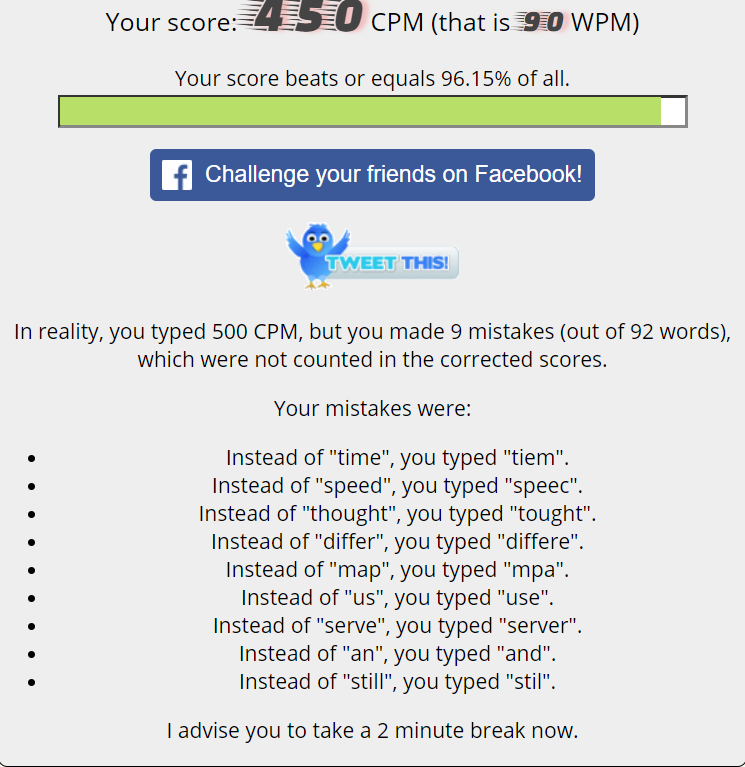 Also, anyone else realise that I'm so used to typing "server" that I typed it instead of "serve".